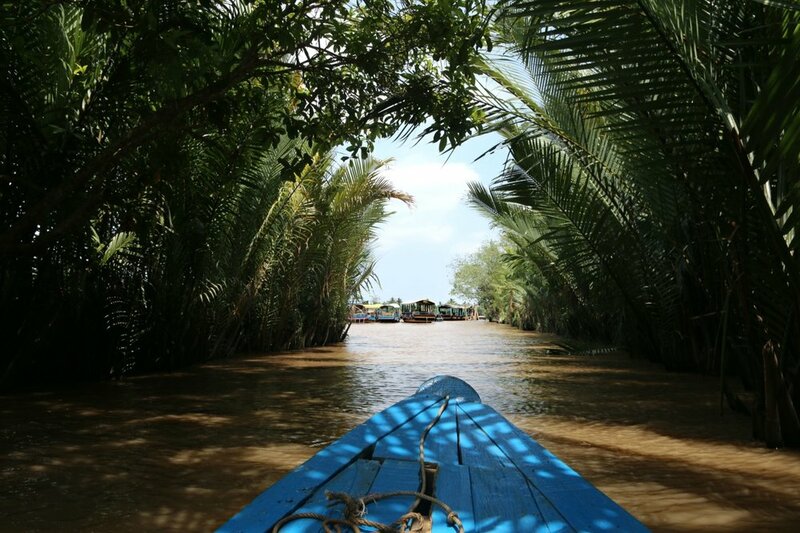 When in Ho-Chi-Minh-City, you just have to go on a day trip to the Mekong Delta, right? The only way to make this possible seemed to be an arranged tour that included pick up, bus ride, the actual boat trip and drop off at the hotel. 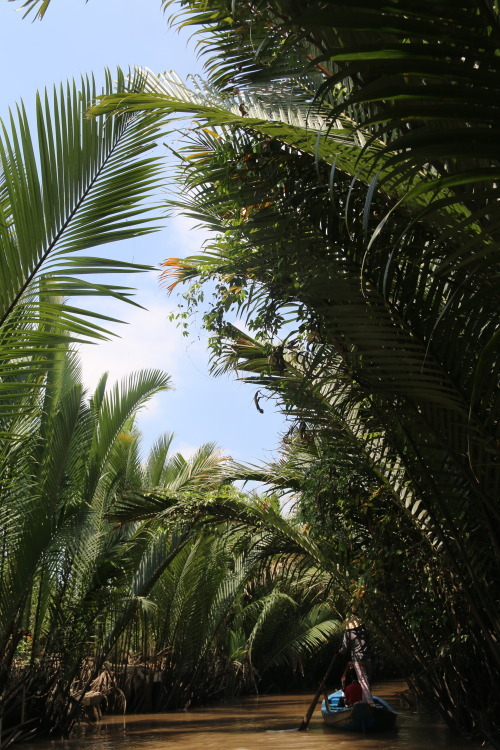 The boat tour consisted a visit to a coconut candy plant (yum! ), a (more or less) authentic local music performance, and a nice restaurant, as well as a ride on a big boat on the Mekong river and a rowboat on a side arm of the river, that is framed by enormous palm leaves and offers a pretty picturesque view. The river itself is brown and smelly and a guided day tour just not my cup of tea, so I was not sad about not having booked an overnight trip.